The company is bringing on board Sam Shi as its chief operating officer (COO) for OYO Jiudian, its Chinese subsidiary, which over the past 12 months has emerged as its second home market after India. OYO has also appointed Andrew Verbitsky as head of Europe, Jeremy Sanders as the UK head, and Tan Ming Luk as the country head for Malaysia. NEW DELHI: OYO Hotels & Homes has made a slew of leadership appointments across three of its fast-growing international markets as the SoftBank Vision Fund-backed hospitality chain looks to aggressively expand its presence across these geographies. Prior to joining OYO, Shi served as president of Global Consumables and chief executive at Asia Pulp & Paper Co. He also has had stints with energy drink giant Red Bull and French multinational hospitality firm Accor Group, aside of having a two decade-long tenure across roles at Pepsi China, the domestic subsidiary of the US multinational PepsiCo. Shi will report to Ritesh Agarwal, founder & CEO at OYO, who is overseeing the China market directly. OYO has also appointed Andrew Verbitsky as head of Europe, Jeremy Sanders as the UK head, and Tan Ming Luk as the country head for Malaysia. All of them will report to Abhinav Sinha, OYO’s COO. Verbitsky has had stints at Airbnb and Delivery Hero, among others. “China is a home market and we invest in leadership there like we invest in India,” Agarwal told ET. Besides Shi’s coming on board OYO in China, the company also recently hired Wilson Li as its chief financial officer (CFO). Li was the finance and operations head at listed car rental major Car Inc. OYO also brought in former Google and Uber executive Jia Zou as its technology head and Tony Liang, formerly with Wanda, SF Express and Dianping, as its chief human resources officer. ET was the first to report on the hires in its November 21 edition. According to data released by the company, OYO Jiudian is currently present in 280 cities across the world’s second-largest economy, operating more than 5,000 hotels and 2,60,000 rooms. The latest set of appointments come a little less than two months after OYO named seasoned aviation executive Aditya Ghosh as its chief executive for India and South Asia, arguably its most high-profile hire till date. 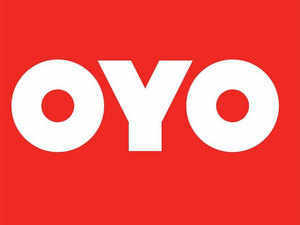 OYO has been talking about its aggressive plans for expanding into markets beyond India with China leading the way. All told, it has raised an estimated $1.16 billion, across rounds, having recently closed $100 million from ride-hailing major Grab in the latest tranche of its ongoing $1 billion funding round.